There is a lot that South Florida has to offer its residents besides beautiful beaches, smart living amenities, and comfortable year-round temperatures: this place is an expansive eco-friendly environment that offers an exquisite eco-sustainable living for those that know what it means. These, among others, are the top reasons why the region is voted the most preferred place to settle down among expatriates and retirees. If you have never been to South Florida, imagine a seamless combination of energy-efficient homes, stylish and smart houses, and an environmentally sound connected city. Yes, that is how great it is, but it does not stop there. The three top pieces of evidence of how the people living in Florida have embraced eco-friendly living lie in the eco-conscious businesses that thrive here, the green communities that give a smart futuristic hype, and of course, the natural, healthy foods in the markets. For most hotels in Miami and other regions of South Florida, protecting the environment is their number one job. Dozens of hotels boast of certified guidelines and award trophies for their efforts to conserve electricity and water and to reduce waste to ensure that every visitor to the region—whether on vacation or business—is left with an impression to take home. The commitment that hotels have shown in conserving the environment and implementing sustainable practices have set an example for most other businesses who have adopted them as their culture. For instance, most firms in the area today prefer environmental friendly cleaning supplies, recycled paper, recycle bottles, glass, paper, and plastic, and are advocates of energy and water conservation programs encouraged by the city. If you are an environmentally conscious person, you will be spoilt for choice when choosing among the top eco-conscious hotels in South Florida. Local businesses and industries in the counties of South Florida have embraced the move to contribute to more sustainable communities by choosing to go green. They are the main reason that this part of the country has become very synonymous with smart and green living. Entrepreneurs get to save money on green products and because they appeal to a largely eco-conscious market, get to increase their profits and contribute to climate protection and the improvement of air quality. A perfect example of such a company is DowntownMaid, which is one of the top green cleaning services Miami hast to offer that uses eco-friendly products to clean homes, hotels, apartments, and business premises. Dining out in South Florida can be described in two words: anything goes. With countless varieties of cuisines to choose from and all the types of restaurants and eateries you could wish for, this part of the city has become the epicenter of healthy eating—even better than cities such as Portland and Los Angeles. Almost every restaurant in South Florida is a great place to grab a happy green meal—vegetarian or not. Farmers’ markets and greengrocers are sprouting all over South Florida. The main reason that local and organic vegetables and fruits are so plentiful is because the market encourages. The people of South Florida have made it a tradition to consume artisan products locally available including cheeses, jellies, baked goods and breads, plants, and flowers. It is only natural that eco-conscious people will want to live green, eat healthy, and encourage the growth of the fresh green produce market. Every produce market is unique in its own way, yet they all keep growing and expanding every week as more vendors bring in more diverse products which attract more customers. From the Palm Beach County to the Keys and Key West green and farmers markets, the growth and popularity of green markets and farmers’ markets is at an all-time high in South Florida, and it has a very promising future. The best part of it is that most markets are still traditional weekend markets but when you really need a fruit fix or have to make vegetable juice, there is a weekday and year-round trending taking hold in South Florida. This makes more farm fresh products available every day in more places. Legislators in the South Florida counties have always been focused on environmental protection and have put laws in place that encourage companies to protect the region’s natural resources while reducing their operating costs. Environmental conservation is no longer a topic of contention especially among entrepreneurs as a majority of them have demonstrated exceptional commitment to preserving the environment and implementing eco-friendly practices as a part of their business culture. Thanks for reading, please let me know about your favorite green business in the comment sections below. According to Bloomberg, a whopping 8 out of 10 businesses will fail within the first 18 months of operation – a sobering statistic for any startup. To improve your chances of business success, taking some time to develop a digital marketing campaign can work wonders. Not only will you be able to increase traffic to your web pages, but you can convert leads into bona fide customers with these simple services and tools. Here are 8 small business essentials for 2016 that you need to read. Having a network of citations is critical for business success. If it’s something you haven’t done yet, a site like Whitespark can make the whole process as stress-free as possible. You will be able to list your site on local directories, increasing brand visibility to a local or regional audience. Google’s latest algorithms place a greater emphasis on citations, so getting your site listed on somewhere like Whitespark can be an excellent way to boost traffic from the search engine results page. Whitespark isn’t just one SEO tool, but rather a collection of various tools that will help increase your rankings on search engines and generate more click-throughs and conversions. You’ll be able to enter a keyword on the platform and find a list of citations, saving you a lot of time and hassle. Well, Whitepark scours the web to find the best citation sites for your company, essentially doing all the hard work for you. Citation building is critical for any small business. It enables you to expand your networks and increase exposure online – a must if you want to boost sales and generate revenue. There are loads of citation tools out there, but BrightLocal is one of the most popular, used by lots of big-name brands. You can start by cleaning up the citations you already have and updating your contact details (including the name, address and phone number of your brand) across various platforms. Next, BrightLocal can help you gain a foothold on the search engines so traffic can trickle to your online store. The platform’s APIs make it easy to find insights in one place, too. Themeforest comes with a plethora of WordPress themes that will revolutionize the look of your website. You’ll be able to attract more prospects and lead them through the sales funnel. Research reveals that poorly-designed websites could influence purchasing decisions, something that could have an adverse impact on your bottom line. At Themeforest, you can choose a theme that best suits your business brand, including HTML themes that you can customize yourself. Templates and themes start from $2, and there are thousands to choose from, including eCommerce themes and blog templates. You can search for templates sing the platform’s search feature or find the latest additions on the landing page. If you need a graphic designer or a social media designer, Fiverr can help. The online marketplace, which accepts payments via a secure platform, has various creative professionals like Photoshop experts and designers to choose from. Outsourcing services like this can provide you with more time to concentrate on other areas of your business, such as staff acquisition or talking to suppliers. Used by a whopping 182,000 website owners, StudioPress is a premium WordPress theme creator that can transform the appearance of your site. Want to attract a particular type of customer? Encourage high-value leads to land on your pages? StudioPress provides you with all the tools you need. Features include responsive HTML5 themes that look great on mobile and attract people who are using smartphones and tablets to search for local businesses like yours. You can also incorporate widgets and other layout options to convey important business information to customers. SEMRush is one of the biggest names out there when it comes to competitor analysis; this tool allows you access millions of domains and keywords so you can choose the right SEO strategies for your brand. But what makes SEMRush different from all the other similar tools on the market? Well, firstly, the interface is easy to use. Secondly, you’ll be able to find the paid and organic search techniques that rivals are using in your niche. This is perfect for keyword spread and will help you decide on which phrases will provide you with more bang for your buck. Competitive analysis is always a good idea for any startup, especially if you want to discover more about your local market. You’ll be able to see which companies outrank you on particular search terms, providing you with all the info you need to develop a killer SEO strategy that will boost inbound traffic and leads. Finding a good hosting website can be a chore for any small business owner, especially if they are a start-up. With so many hosts out there, it can be hard to know where to start. Customer service, server uptimes, and speeds are factors that you should consider before you go any further. If you want a sturdy all-in-one WordPress web host, you can’t go wrong with WPEngine, with comes with various features that make hosting easy. If something goes wrong, or you just need some help, you can contact a customer rep using a number of different methods (including phone and email) and can keep your site running smoothly, something that will please your clients and customers. The world, it seems, is becoming increasingly visual. If you want to outrank your rivals and develop a customer base, you’ll need bold brand marketing that demands attention and tells the world about your company values. 99designs, located in San Francisco, are the go-to resource if you need graphic designers to create office stationery, websites or letterhead for your business. Remember, creating an attractive website is important if you want to generate more leads; however, if you lack the resources or skills to do this yourself, using a service like 99designs can provide you with a return on your investment. You will be able to choose a graphic designer who can incorporate on-page SEO techniques that will boost the position of your pages on search engines. If you’re starting or running a retail or service business, then you’re probably trying to find good wholesale supplier. There are currently hundreds of thousands of companies in the wholesale distribution industry so finding and forming relationships with these wholesalers takes both time and research. So, if you’re just getting started, use this advice for how to find a good wholesale supplier. First, let’s take a look at the wholesale industry. This is a huge industry and tends to be highly fragmented. Only about 50 of the largest distributors generate 25% of the revenue. Wholesalers also serve retailers and service businesses through a wide range of channels and supply chains. At the top of this chain are the manufacturers who sell to wholesalers. Next, you have wholesalers who may also be known as regional distributors. They sell and distribute the good locally. Finally, there are brokers and jobbers who are responsible for delivering goods to small businesses such as independent produce stores. When you enter the wholesale business, you’ll quickly find that it’s centered around volume. The more goods that you purchase, the lower the prices are, and the higher your profits can be. So, if you’re a small business, it’s unlikely that you’ll be able to negotiate relationships from a wholesaler simply because your sales volume isn’t going to be that high. However, small wholesalers will sell and ship to small businesses and as long as you’re able to move forward and see increases in sales, you’ll be able to move up the supply chain. However, there are also wholesale suppliers who are willing to work with small businesses and you can reach good agreements with them that are mutually beneficial. Probably the hardest part is finding wholesalers. This step takes time but there are a number of practices you can use to help improve your research efforts. First, start by searching the internet. You’ll want to search for wholesalers by product to help you find the suppliers that you can actually use. You can also search through online assocations, wholesale directories, or trade directories. Trade shows and trade magazines can be good places to look but may not be your best option in some cases. Navigating a trade show takes both a budget and a significant amount of tie. However, you can use trade show directories to pinpoint events by industry and location to help narrow down your search. You can also look at magazines on your own time and find the wholesalers who are specific to your industry. Word of mouth is also going to be helpful, although you may learn more about what not to do. Asking around at a networking event is a good way to find out who your competitors purchase from and finding out if their suppliers offer good service. You can also talk to brand manufacturers. They usually only sell in high volumes so this may not be a supplier, but they can refer you to those that will sell to small businesses. When you think you’ve found a good supplier, you’ll need to make sure that you do your research first. Make sure to ask about volume discounts, order processing times, and return policies before choosing a company. Also, don’t forget to ask for references and do your own research. The Better Business Bureau is a great source of information and they serve almost as a background check for companies. A few hours of research can save you a significant amount of time and frustration in the long run. If you’re not sure of where to get started, then you may want to look into Salehoo. 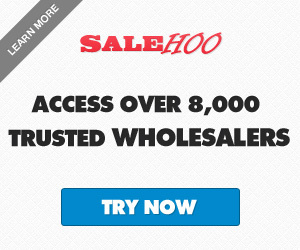 Simply put, Salehoo is one of the largest online wholesale supplier directories today. Their directory encompasses over 8,000 wholesale suppliers and, as a member, you have direct access to all of them. What makes Salehoo stand out is that they’re interested in helping people succeed. You have access to articles and research related to navigating sales and marketing. They are well-rated by customers and also offer friendly and professional service so this is a good source to check out, especially for small businesses. When you’re in the market for a wholesale supplier, you don’t have to approach this process blind. Use this advice to get started finding a supplier which will meet you and your company’s needs.